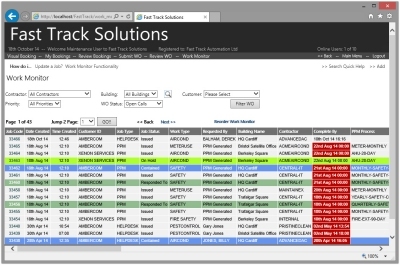 Fast Track Help Desk & PPM will help you automate maintenance operations. Our solution will save your staff time, by managing all areas of call logging, task distribution, monitoring and escalation, SLA's, KPI's, and more. Asset Performance for your school, college or university made immediately visible. Utilising Email and Text notifications, Fast Track Help Desk & PPM keep applicable staff members and service providers up to date on all aspects which concern them. 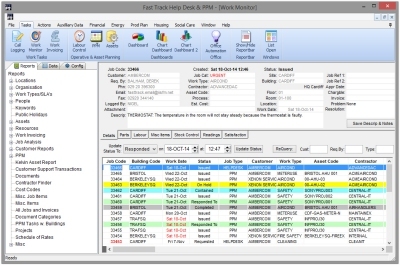 Fast Track Alerts reminds staff and service providers when new jobs have been logged, when jobs are approaching escalation and/or jeopardy, and much more.